Sooo, this post was actually going to happen last night, but... I got a little distracted. Of course, it started with the usual exploration of Pinterest, but somehow it ended up at this wonderful website. Let's just say seven-year-old Yammie would have considered this glittering princess paradise her very own heaven on earth. And the current twenty-year-old Yammie? She may or may not have been up till two in the morning designing a kadrillion or so Disney princesses. Anyways, I did actually make you some food. Hawaiian sweet rolls to be exact. 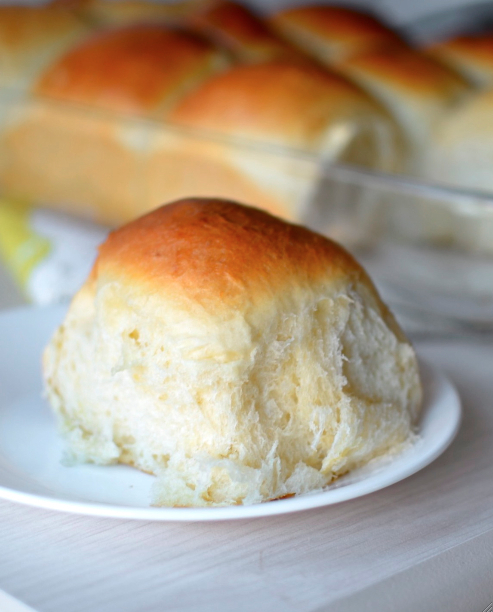 They are literally the fluffiest rolls I ever made. Of course, I didn't actually eat any since I'm still eating gluten-free, but the smell and the feel is enough for me. I was thinking about just hoarding all of them so I could use them for a pillow. Waking up with my face caked in butter might have been worth it. I caved in and shared though. According to the fam, they tasted fab. Fluffy, sweet, and subtly Hawaiian thanks to a secret ingredient. Yep. Crushed pineapple. Don't you dare drain it. 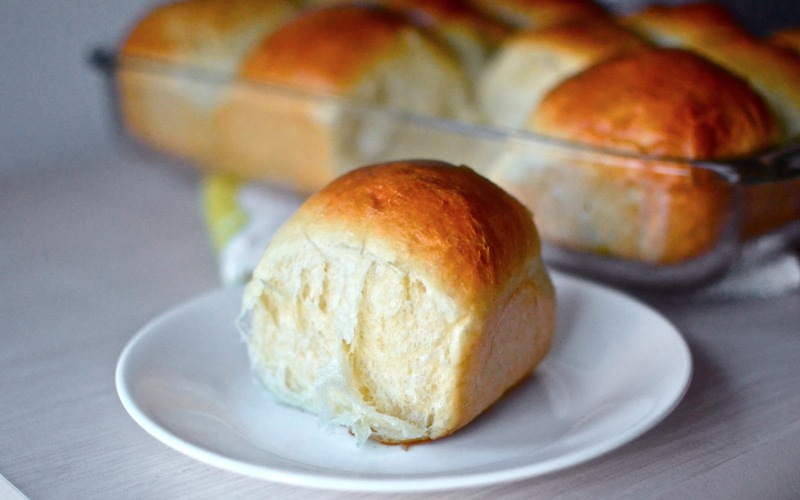 The other secret for fluffy rolls is patience. You've got to let them double in size. It depends on the temperature of your house and stuff, but it took about an hour for mine. Just trust your instincts. There. Now they're ready to bake. Make sure you brush them with an egg wash so they come out nice and golden brown. Look at those babies. I could have taken a million pictures of them. Instead, I only took a million and five. Also... I'm not usually one for gifs, but I wanted you to see how nice these pull apart. Are those tears of joy I see streaming down your face? Mix together the milk and yeast. Let it sit for about 5 minutes. Add the oil, butter, sugar, eggs, and pineapple and mix to combine. Add the flour about 1/2 cup at a time, mixing well after each addition. Add a little more if you need to. It should be sticky, but not gooey. Add the salt. Knead for about 10 minutes by hand or in a stand mixer with a dough hook. Cover with a damp cloth (or grease the top) and let rise until doubled (somewhere around 45-60 minutes). Punch the dough down and divide into twelve equal balls. Place in a well buttered 9x13 inch pan and let rise again until doubled (again, 45-60 minutes). Preheat oven to 350ºF. Beat together the egg and water for the top and brush the tops of the risen rolls with the egg wash. Bake for about 25 minutes or until the tops are nicely browned. Brush the top with some melted butter and serve warm. And as always, don't forget to follow on Facebook and Twitter!